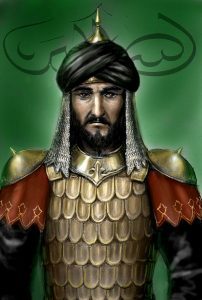 Saladin is the founder of the Ayyubid dynasty, and was Sultan of Egypt and Syria. Saladin headed the Muslim military campaign against the crusaders. 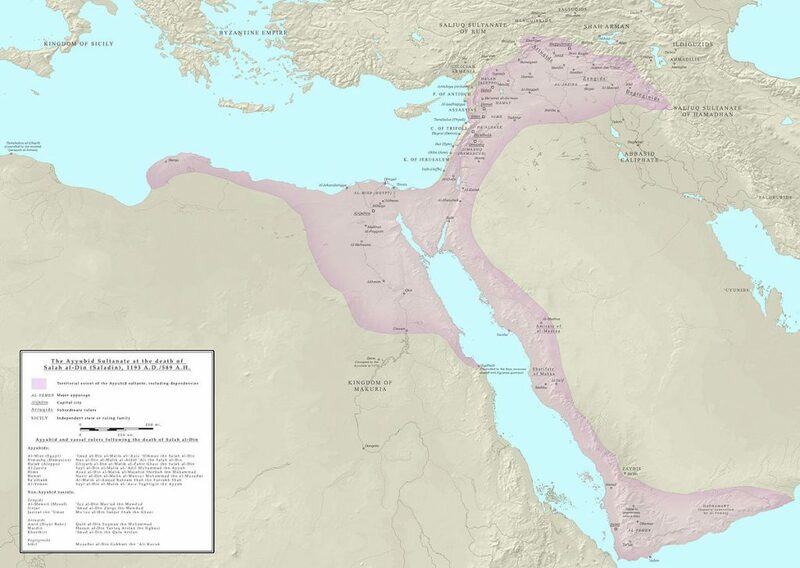 The Ayyubid dynasty was a large empire, which controlled significant portions of Africa and the Middle East. Saladin managed to survive two attempts on his life by an enigmatic group of assassins, led by a mysterious “Old Man of the Mountain”. Saladin had to deal with the “Assassins” as they were a serious threat to his life. They operated in the an-Nusayriyah Mountains, where they held nine fortresses. The Assassins didn’t have an army, they used psychological warfare, and surgical strikes to achieve their objectives. They were essentially the Ninja of the east. 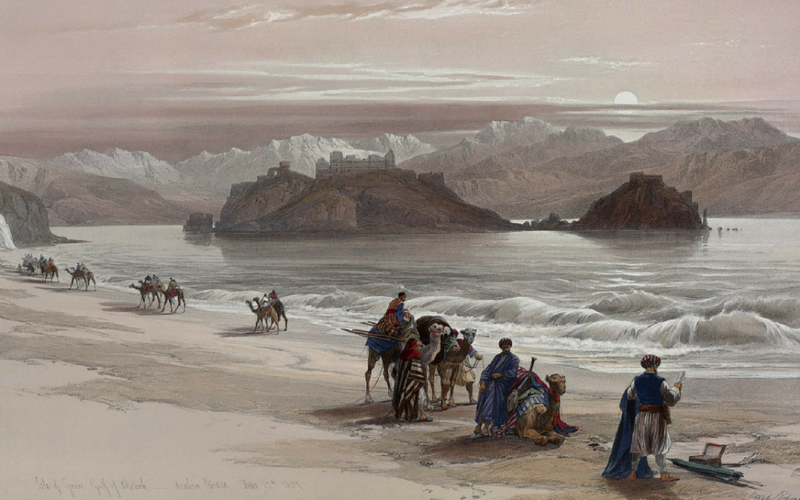 Saladin attacked them in 1176, he devastated the countryside, but failed to take any forts and retreated. It’s possible that Saladin’s retreat wasn’t a loss, but that he had actually managed to form an alliance with them. This was a smart move as it took away a potential ally from the crusaders. Saladin was sent to Fatimid Egypt in 1163. Because of his military success against the Crusaders he quickly rose through the ranks. Saladin did well in early battles against the crusaders, and helped the Zengid forces reach Alexandria. At Alexandria they were given money, and provided with a base. Saladin was eventually appointed as vizier to the Fatimid Caliphate. This was very unusual as the Fatimid was Shia, but Saladin was actually Sunni. Saladin defeated a large Crusader army in 1169. Saladin was now conspiring to become the head of the caliphate by deposing al-Adid. He started to strengthen his hold in Egypt in preparation for this. 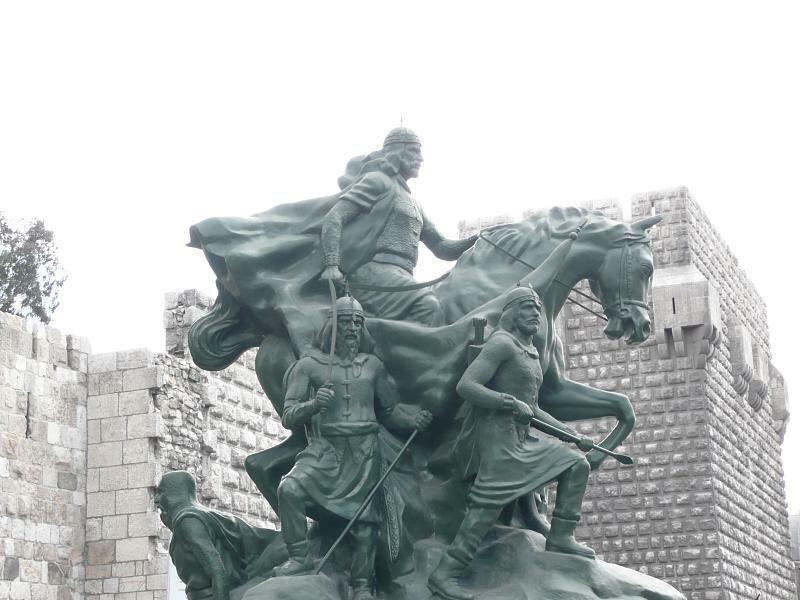 In 1170 Saladin launched a campaign against the Crusader forces in the city of Darum. Reinforcements came to aid Darum, leaving the city of Gaza unprotected. Saladin evaded the reinforcements and stormed Gaza instead. In 1171 al-Adid died, and Saladin took control of the government. Saladin fought against the Crusader states of the Levant, and managed to secure a decisive victory. Saladin captured or killed the majority of the crusaders. This was a significant victory as it took away the crusaders ability to wage war. Muslims were now the largest military power in the Holy Land. Saladin had 30,000 men split into 12,000 cavalry, and 18,000 infantry. The crusaders had 20,000 men split into infantry, turcoples, knights, and men-at-arms. Many of the captured crusaders were executed, while others were sold into slavery. The turcopoles were executed as they were seen as betrayers of Islam, knights were largely just sold into slavery. Guy of Lusignan and Reynald of Chatilon were brought before Saladin. Saladin offered Guy a drink, which in Arab culture meant you would be spared. Guy passed the drink to Reynold, but Saladin quickly smacked it out of his hand, saying “I did not ask this evil man to drink, and he would not save his life by doing so”. 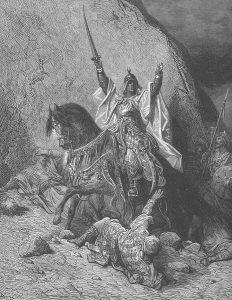 After the Battle of Hattin, Saladin had completely defeated the Kingdom of Jerusalem. He then conquered the cities of Acre, Ascalon, Beirut, Jaffa, Toron, and Nablus. Saladin went to siege Jerusalem with an numerically superior army. He first asked the city to surrender since it was more beneficial to take it without bloodshed. The city refused saying they would rather the city be destroyed than taken. Saladin proceeded to siege the city. There were few men inside to begin with, and by the end of the siege there were was only a tiny force left. Eventually they agreed to surrender. The taking of Jersualem outraged the crusaders, and led to the launching of the Third Crusade. Saladin founded the Ayyubid Sultanate in 1171. The dynasty lasted from 1171 until 1260. Saladin quickly began conquering other Muslim nations, and by 1183 he was in control of Syria, Hejaz, Yemen, northern Mesopotamia, and parts of the North African coast. He also gained a majority of the Kingdom of Jerusalem after the Battle of Hattin. However most of the territory he gained was lost after his defeat to Richard the Lionheart at the battle of Arluf. After Saladin’s death, his brother became sultan in the year 1200. 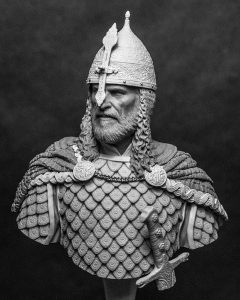 Saladin is considered by many to be one of the greatest strategists in military history. After Saladin lost at the Battle of Arsuf Saladin initiated a scorched earth tactic. He quickly removed the fortifications at Ascalon, which was a strategically important city. It was a smart decision to stop the city from falling to the Crusaders. Saladin worked hard to try and attain a truce, but early attempts at this failed, as Saladin wouldn’t agree to their demands. 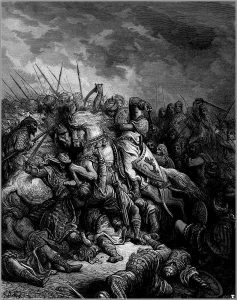 Richard the Lionheart took position 12 miles away from Jerusalem, however instead of attacking Jerusalem, he captured Ascalon. He then restored it’s fortifications. A few months later, Saladin moved on Jaffa. Richard moved to defend the city, he was almost too late, but managed to arrive just before the city was lost. Saladin and Richard went toe to toe outside of the city. The Ayyubid weren’t about to give up, and some of them managed to outflank the Crusaders, and claim the city of Jaffa. They quickly defeated the marines defending the city. Richard galloped into the city in person and rallied his troops to fight. Saladin realised the battle was lost and withdrew. This was the last battle of the Third Crusade and one of the most significant. While a crusader knight was out for a stroll he noticed the neighing of horses, and glint of armour hidden in the fields. He quickly realised it was Saladin’s army hiding in the fields and waiting to attack the Crusaders. The alarms were raised and Richard ordered his troops to make ready for battle. Spearmen, and knights made a wall of shields of spears to defend against any attacks, while crossbowmen who had formed a line behind them continuously fired on the enemy. Saladin ordered his men to charge over and over again, but they could never break through the Crusaders. It came down to a battle of arrow fire, which the Crusaders won due to superior armour. Saladin’s most significant loss was against King Richard I, otherwise known as Richard the Lionheart. 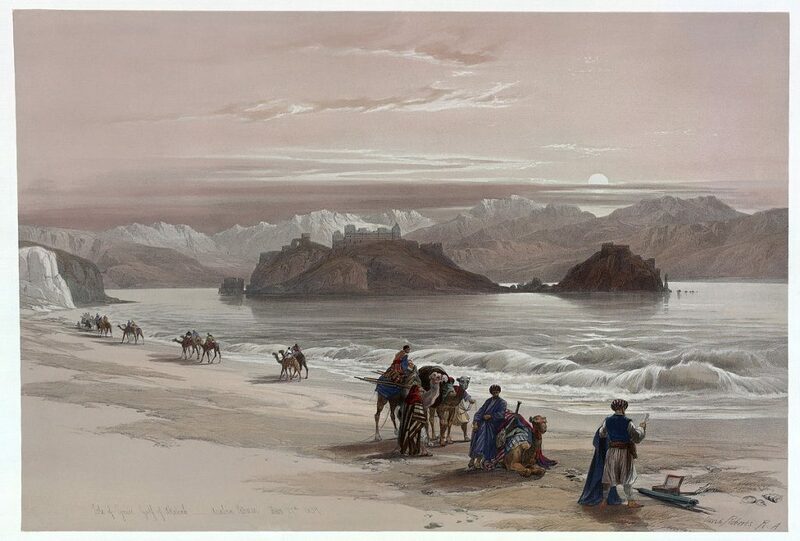 Saladin attacked the Crusaders while they were travelling from Acre to Jaffa. The Ayyubid had greater mobility than the Crusaders, as Saladin’s men were mostly mounted. 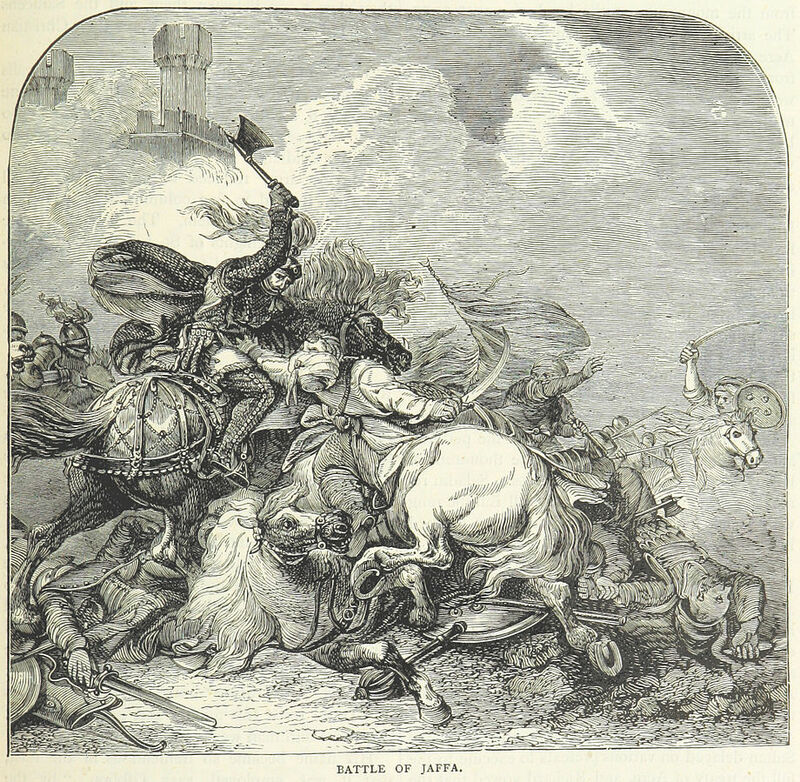 He continuously attacked the Crusaders as they journeyed to Jaffa. If the Crusaders ever exposed themselves Saladin would attack, he was always with in striking distance. However none of these attacks managed to stop the Crusaders from advancing. Saladin then decided to wait until they entered the Wood of Arsuf, where he would lay an ambush. 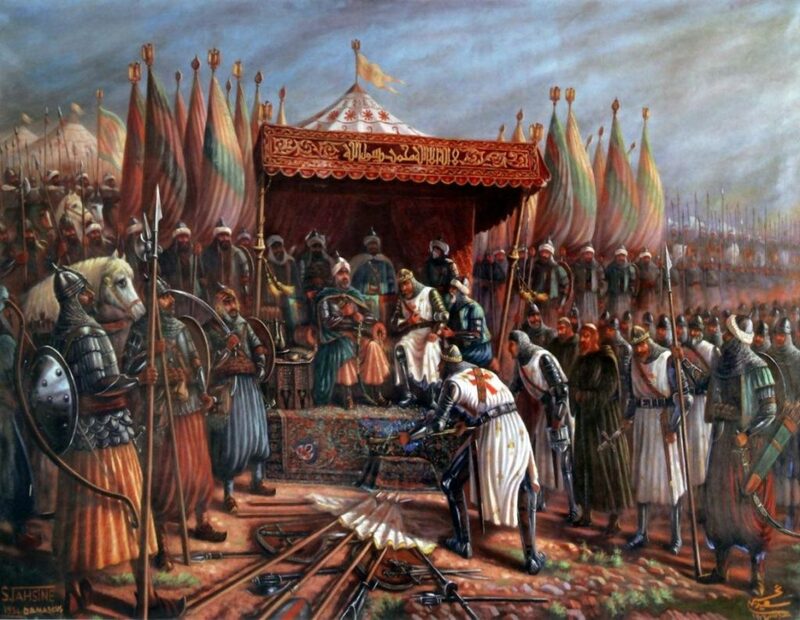 However Saladin’s plans never came to fruition, while he was attacking the Crusaders, King Richard launched a counterattack against Saladin’s forces. Saladin suffered heavy losses. When Saladin died he left very little money behind. When they opened his treasury they didn’t even find enough money to bury him. Saladin had already given a lot of his remaining wealth to his subjects. 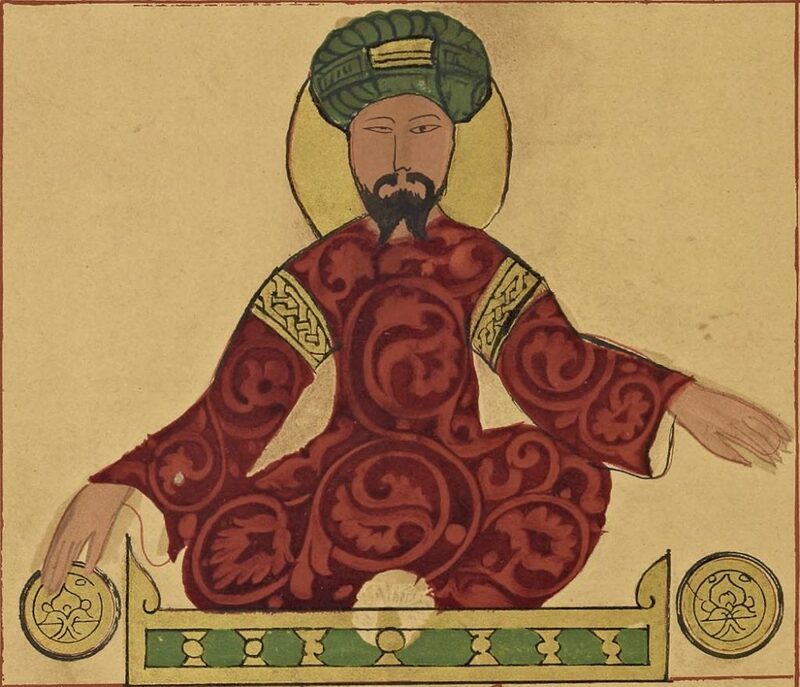 Saladin died of a fever on the 4 March 1193, in Damascus. Searching through his treasury they could only find one gold coin, and forty pieces of silver. When Richard I was sick, Saladin sent him a basket of fruit. When his horse died in battle, Saladin had a horse marched to his camp. This was part of Saladin’s brilliant mind for strategy. He wanted to win the hearts and minds of the people. He tried to commit as few atrocities as possible during campaigns. When in Egypt he built hospitals, and universities. When he recaptured Jerusalem, he ordered his men not to plunder the city. Although he was famous for being chivalrous he did still commit atrocities. He may not have plundered Jerusalem but he did force them all to pay a ransom if they wanted to leave, and those who couldn’t pay were forced into slavery.